Conor O’Flaherty says he plans to hire up to 15 people in Galway over the next year. IT’S FOUR YEARS since Conor O’Flaherty first started work on his idea to start a talent agency for YouTubers and social media ‘influencers’ – a business he eventually quit secondary school to pursue. While he managed to convince his parents to let him give up his studies at 17 – a task he pulled off using a 29-slide presentation – he admits he hit a brick wall with the business, first called Pursue and later rebranded as Centus. “My initial targets were naively to do €2 million in revenue a year,” says O’Flaherty, now 19. ”I said that in January of 2016 when I was fresh into business. He spent the rest of 2016 and a chunk of this year in stealth mode – trying to find a way to build a sustainable business around the still-nascent influencer industry. O’Flaherty’s new agency essentially takes a cut from advertising deals between these influencers and creators – people with large social media followings on the internet – and brands. “I focused on getting a budget and then finding creators to utilise it with,” O’Flaherty says. O’Flaherty has so far signed deals with the likes of Audible, Paramount Pictures, Squarespace and Sony to link up the brands with social media influencers he either manages directly or brokers deals for. With a regular stream of revenue coming in from his cut of those deals, he now plans to move back to his native Galway from Dublin and start hiring staff for an agency. “It has taken me three plus years to find my groove and find what works. I feel in a good position right now,” O’Flaherty says. “I know now what will take the agency to a business that is doing €5 million-plus in revenue a year. Some of the internet stars Centus works with include YouTubers Jon Olsson, Whitney Simmons and Captain Joe, who boast hundreds of thousands of subscribers. 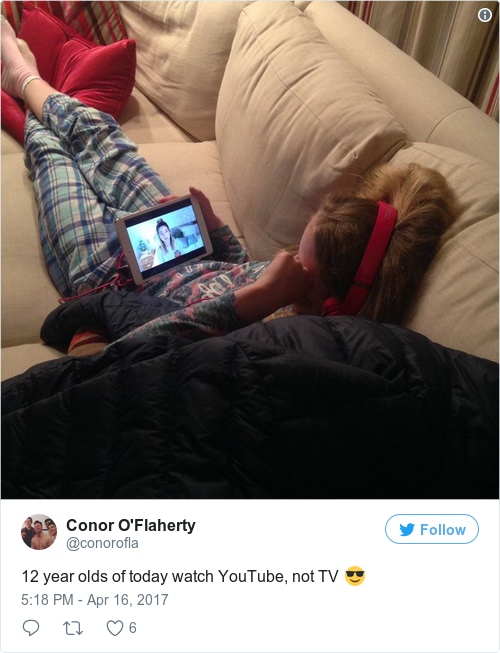 He also works with some Irish influencers, such as Madison Cawley of the Just Maddie Things YouTube channel. But overall, O’Flaherty is critical of the local talent pool of ‘creators’. “If I had budget, I wouldn’t go near a lot of Irish creators. Take some Irish models, are they going to encourage people to buy a beauty product when 70% of their followers are male? I don’t think so. “Brands in Ireland are lean in terms of where their money is going – the cost per acquisition is so important to them. When it comes to how much can be made from promotions, O’Flaherty is reluctant to give away any trade secrets. Nevertheless, he does volunteer some insights on the growing expectations of some influencers. He adds that the sector can feel like the “wild west” at times, with new companies “popping up” and trying to claim huge commissions from the online celebrities they work with. “A competitor might run a campaign with Paramount for €30,000 or €50,000, and they may take 60%, when in reality the main people are the content creators. O’Flaherty says his plans are to build up the business from Galway over the next year, and in late 2018 move out to the US – where most of his revenue comes from. He says he doesn’t regret quitting school at 17, but does feel like he’s missing out on some aspects of life having not finished his leaving certificate. “The only thing I miss, and I’m definitely noticing it now, is the socialising part of it. I should be in college now and going into second year. A lot of my friends are having so much fun.